Objective: Seeks positive absolute returns that have a low correlation to the returns of global stock and bond markets. Returns over one year are annualized. The 361 Global Managed Futures Strategy Fund seeks to generate performance by employing a suite of systematic trading models that take positions (long, short, or cash) in equity index futures contracts across the globe. Alternative mutual fund with low correlations to global markets offering true diversification. 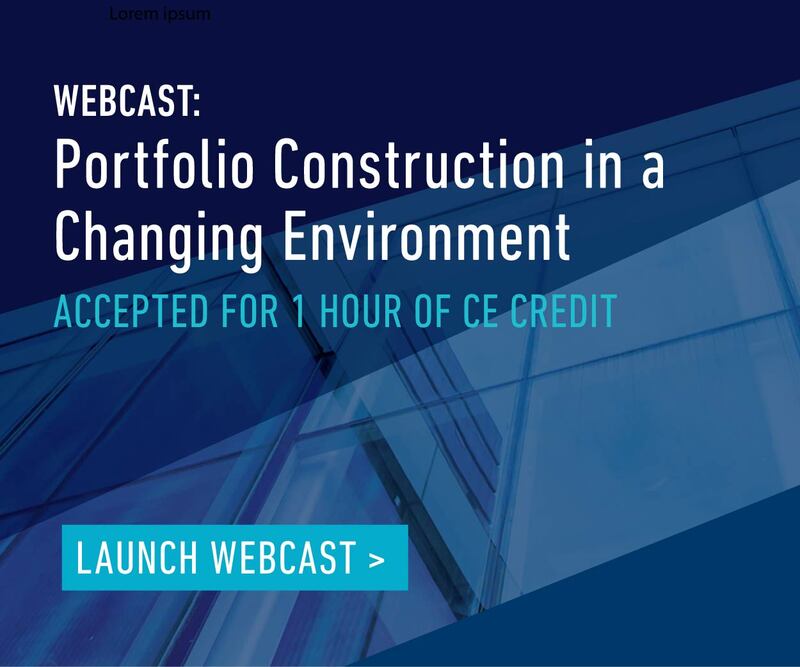 Fund seeks to benefit from increased and expanded opportunity set across global markets. Counter-trend approach seeks to profit from short-term price extremes independent of market direction. Morningstar rankings are based on a fund’s average annual total return relative to the funds in the same category and includes the reinvestment of dividends and capital gains. Rankings shown are for Class I shares and may be lower for Investor shares due to higher fees and expenses. The rankings may have been lower without the fee waiver in effect. The highest (or most favorable) percentile rank is 1 and the lowest (or least favorable)percentile rank is 100. The Fund was ranked 28 among 115 funds, 5 among 96 funds, and 33 among 66 funds for the 1-year, 3-year and 5-year periods, respectively. The algorithms underpinning managed futures strategies may be complex, but the strategy’s purpose is simple: diversification. 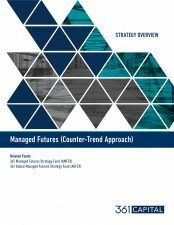 There are also those managed futures funds employing counter-trend trading models—and there are benefits to pairing the strategies. The 361 Global Managed Futures Strategy Fund Class I shares was rated 5 stars for the 3-year period and 4 stars for the 5-year period among 96 and 66 funds, respectively, in the Managed Futures funds category. Ratings reflect fee waivers in effect; in their absence, ratings may have been lower. The Morningstar Rating™ for funds, or "star rating", is calculated for managed products (including mutual funds, variable annuity and variable life subaccounts, exchange-traded funds, closed-end funds, and separate accounts) with at least a three-year history. Exchange-traded funds and open-ended mutual funds are considered a single population for comparative purposes. It is calculated based on a Morningstar Risk-Adjusted Return measure that accounts for variation in a managed product's monthly excess performance, placing more emphasis on downward variations and rewarding consistent performance. The top 10% of products in each product category receive 5 stars, the next 22.5% receive 4 stars, the next 35% receive 3 stars, the next 22.5% receive 2 stars, and the bottom 10% receive 1 star. The Overall Morningstar Rating for a managed product is derived from a weighted average of the performance figures associated with its three-, five-, and 10-year (if applicable) Morningstar Rating metrics. The weight is 100% for a three-year rating for 36-59 months of total returns and 60% five-year rating/40% three-year rating for 60-119 months of total returns. © 2019 Morningstar. All rights reserved. The 361 Global Managed Futures Strategy Fund, Class I shares, received a Refinitiv 2019 Lipper Fund Award for the three-year time period among 84 funds in the Alternative Managed Futures Funds category. Lipper Awards are granted annually to the funds in each Lipper classification that achieve the highest score for Consistent Return, a measure of funds’ historical risk-adjusted returns, measured in local currency, relative to peers. Winners are selected using the Lipper Leader rating for Consistent Return for funds with at least 36 months of performance history as of 12/31/18. Awards are presented for the highest Lipper Leader for Consistent Return within each eligible classification over 3, 5 or 10 years. Other share classes may have different performance and expense characteristics. Although Lipper makes reasonable efforts to ensure the accuracy and reliability of the data contained herein, the accuracy is not guaranteed by Lipper. Lipper awards are not intended to predict future results. From Lipper Fund Awards from Refinitiv, March 7, 2019 © 2019 Refinitiv. All rights reserved. Used by permission and protected by the Copyright Laws of the United States. The printing, copying, redistribution, or retransmission of this Content without express written permission is prohibited. **2014 return is since the Fund's inception of 02/12/14. Data from 03/01/14-03/31/19 for Class I Shares. Statistics calculated using monthly return data relative to MSCI World Index. † The Adviser has contractually agreed to maintain the total annual fund operating expenses at stated levels, exclusive of certain expenses such as acquired fund expenses and dividend and interest expenses on short sales until 02/29/20. See Prospectus for additional details. Reflects a reimbursement from the fund. Subject to certain limitations, the adviser is permitted to seek reimbursement from the fund for a period ending three full fiscal years after the date of the waiver or payment. does not take into account how much was won or lost, simply if they are profitable. Day-to-day market movements are dominated by noise, fear, and greed, causing extreme short-term movements and increasing volatility. Investors often “buy strength, sell weakness,” creating panic by moving into or out of fast-moving markets. A counter-trend approach attempts to tactically identify periods when fear and greed are present and to profit from these emotions by exploiting their inflection points. The strategy’s short investment horizon and contrarian objective gives it a low correlation to broad markets and even other managed futures products. Within the wide variety of programs in the category, our strategy is one of two single manager, short-term counter trend funds. Our models seek to exploit overreactions in equity markets and profit from the short-term mean reversion often observed following outsized moves (up or down). We expect the Fund to perform well in choppy or ‘noisy’ markets, while being more muted in steadilyrising markets. 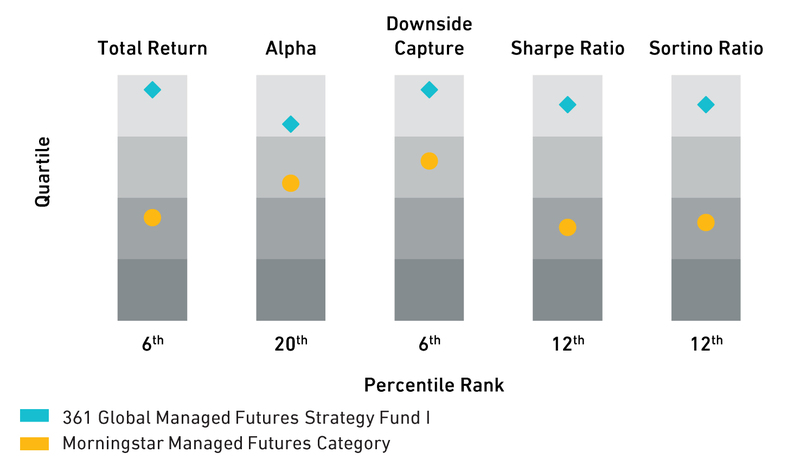 Over the last 17 years, the managed futures category has maintained a low correlation to most asset classes, providing diversification benefits for investors. Learn more about correlation and what it means for your portfolio.